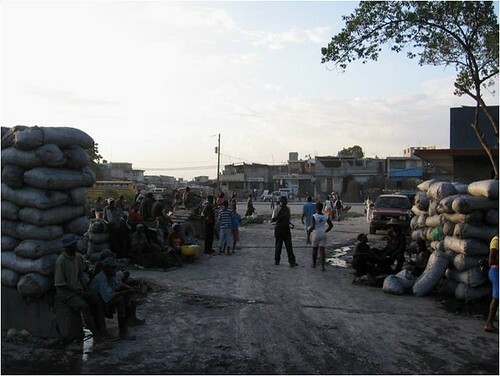 Every time I exit Haiti’s national airport in Port-au-Prince, the heat and the red caps swamp me with equal intensity. The red caps are airport porters, so-called for their ubiquitous red hats, which they wear to denote their airport-sanctioned roles in this tiny economy. During my last arrival, in mid-January, I quickly surrendered the luggage cart to the pushiest airport porter, named Robinson. For every passenger, there are 15 willing red caps struggling to claim rights to incoming travelers, their suitcases, and a few crumpled bills. Robinson cheerfully caught me up on the country’s news as we walked toward the parking lot. I live and work in Léogane, Haiti and was coming back from the U.S. Rumors about the messy presidential election still surged. Protesters still demonstrated, but had been too occupied with New Year festivities to agitate often. Cholera continued to seep through the country. Children in remote areas died within hours of falling ill. Overall, the one-year mark of the earthquake changed little. All anyone wanted, it seemed, was to shake free of these catastrophes and move forward. In Léogane, the feeling of puzzled uneasiness lasted until Duvalier was suddenly arrested in a dramatic hotel raid. No one had expected that the police, or the government, would be so bold. Meanwhile, Jean-Bertrand Aristide, the president overthrown most recently in 2004, quickly flew to Panama and heightened the intrigue. In the first month of 2011, decades of Haiti’s politics came clashing together all at once. 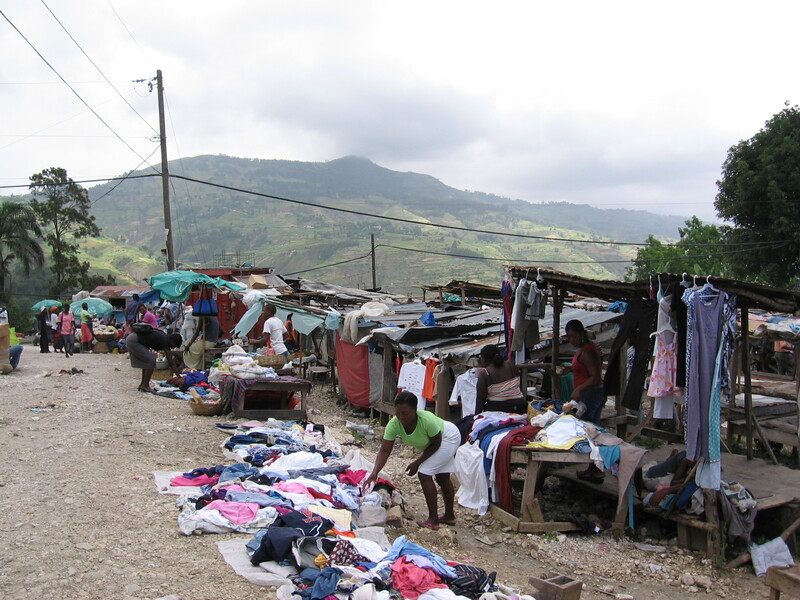 Facing down politicians, foreigners, and an epidemic, Haiti seems poised at a crossroads. Meanwhile, daily life continues. Robinson, for example, was focused on earning an extra tip. He had eleven children, he added, hopefully proffering his hand once more. I rolled out of the parking lot, shaking my head at a dozen drink and food vendors who ran alongside the car, hawking their products. Just minutes after arriving in Haiti and the stealthier epidemic here is revealed: chronic joblessness. 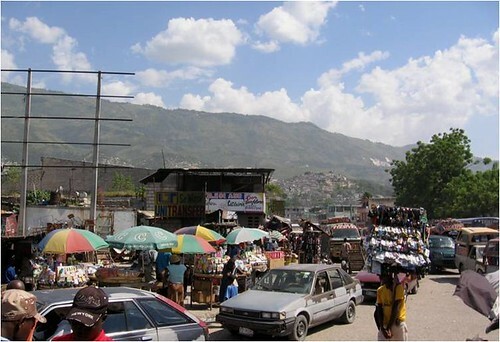 I drove through Port-au-Prince, eager to shake free of the city and get on the road to Léogane, a much quieter town southwest of the capital. The car rolled forward in inches through the claustrophobic streets downtown. I looked up at the back side of the newly restored Iron Market, one of the city’s beautiful historic buildings. It sports bright red and green paint, and looms above the vendor-lined streets. No one else seemed interested in the beautiful building, and no doubt the novelty had already worn off. The streets were made narrower still by dense heaps of wet, uniformly gray trash. Chaotically painted tap-taps – local private busses – lurched forward, blaring their horns continually. The streets were packed past capacity. Children walked between cars, selling small bags of water that they carry in buckets on their heads. Their faces dripped with sweat, and their clothes had more holes than fabric. A few cents buys you three bags of water. Men pulled heavy oxcarts laden with iron rebar scavenged from collapsed houses. Piles of rubble still blocked side roads. The men walked barefoot, their legs splattered with mud, their sparse frames wrapped in wiry muscle. It’s hard to believe that a few miles uptown you can find luxury hotels and Domino pizza franchises. The stench grew worse under the sun. The car broke free of the thickest traffic and pulled near the National Palace. Unlike the Iron Market, the Palace looks exactly the same as it has since January 2010. Its crumpled, broken body slumps in front of an immaculately groomed lawn. Beyond that, tent cities surround the palace grounds. An alphabet soup of NGOs claims responsibility for their school tents, latrines, and streetlights. The suffering on people’s faces is stark and open. By now, people are too tired to hide their misery. The graffiti reflects the shifting tides of the country’s power dynamics. Sloppy spray paint slogans declare, “Down with Préval” and “NGOs steal” in Creole. Artfully drawn political cartoons show tears rolling down Haiti’s face. Another shows Préval and his presidential pick, Jude Celestin, chatting together as they sit side-by-side in bed. As I drove past the palace, the road became suddenly blocked by a small protest, and I pulled over to wait it out. About forty people walked past in an organized group. They sang loudly, their voices rising and resonating above the blare of street traffic. They gripped leafy branches in their fists to show they were unarmed. They walked slowly through the streets, passing the child vendors, U.N. military tanks, and glossy SUVs with foreigners. I finally neared the outskirts of Port-au-Prince, and the radio cackled and came to life. Jovially mixing Creole, French and English, the host answered calls and announced the news. T he headlines read like a political guest list of the last twenty years: Duvalier, Aristide, Clinton and Obama in rapid succession. Across Port-au-Prince, however, these names seem to be making few waves. Aside from the rumors, people remain focused, above all, on earning a living. If Haiti is in fact a crossroads, this moment is about more than old dictators and new foreign powerhouses. 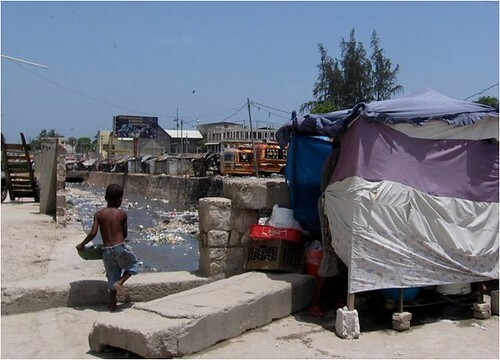 It is about hard workers without jobs, children in the streets instead of in schools, and the clash of inequality seen in Port-au-Prince every day. 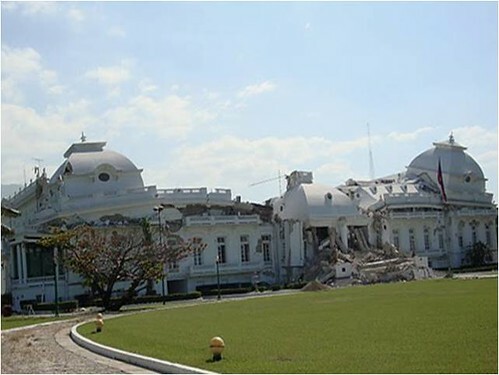 It is the workers of Haiti who can rebuild the country, and its fallen palace. Through them, life in Haiti can begin to change today, resulting in better futures for their children. Nice Kona, excellent read. No idea you had a Haiti blog. Koman sa va over there? I miss it. thanks, it’s great to hear from you! Haiti’s great. It’s starting to get hot again, but the political situation has been calm and now everyone is enjoying Carnival.